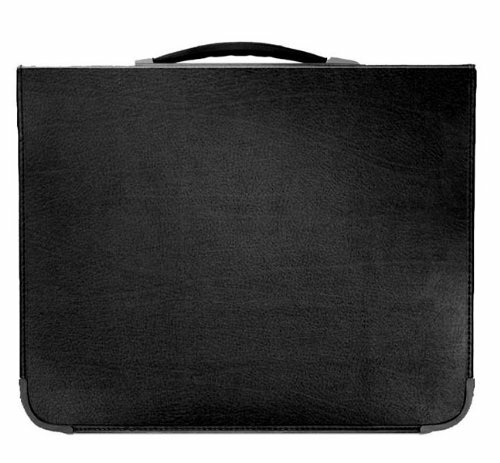 This student grade presentation case is made of high-quality embossed vinyl. The sleek design and handle gives it a very professional look at a great price. Includes acid free sheet protectors. 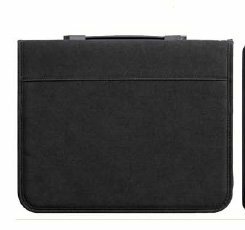 This lightweight but durable presentation case has a handle on the spine, black deluxe lining, black multi-ring mechanism, and an inside pocket. Includes 10 transparent polypropylene acid-free sheet protectors. 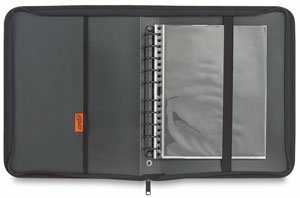 Prat Paris Start 1 Polypropylene Presentation Case, Zippered Multi-ring Binder with Ten 24" x 18" Archival Sheet Protectors, Cover Color: Black. 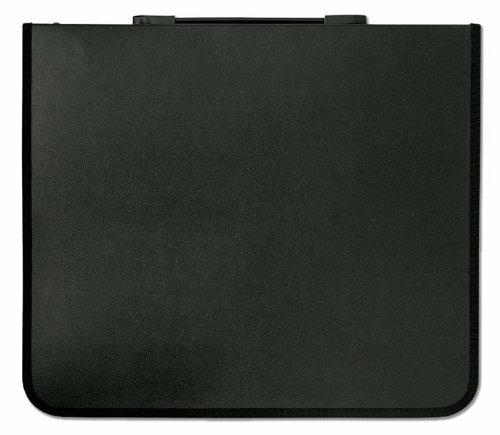 A Sturdy and light weight acid-free buffalo grain polypropylene covered presentation case with an inside pocket. 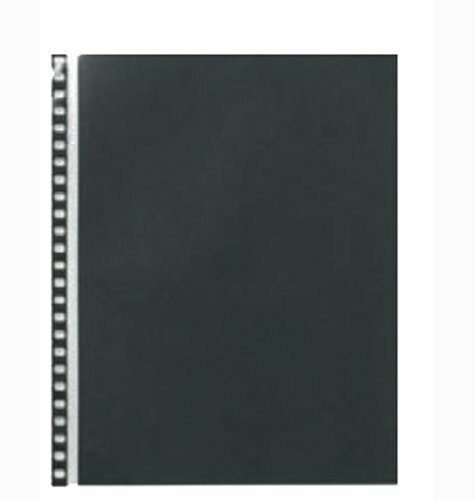 The spine mounted handle allows the pages to hang downward properly to avoid wrinkling.Features a one inch black superior multi-ring mechanism (does not snag pages). The Presentation Case contains 10 Archival polypropylene pages. Prat Paris Start 2 Presentation Portfolio Case, Zippered Multi-ring Binder with Ten 8.5x11" Archival Sheet Protectors, Cover Color: Black. The Start 3 Presentaion Case is an attractive hard case with padded cloth cover, and an outside pocket. 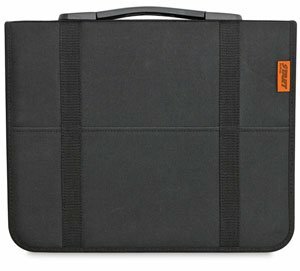 Prat Paris Start 3 Presentation Case, Padded Cloth Zippered Multi-ring Binder with Ten 18" x 24" Archival Sheet Protectors, Cover Color: Black. Prat Paris Archival Refill Pages, 14x11" for the SPB Series Presentation Books, Pack of 10. The Start 2 Presentation case has a lightweight but durable laminated vinyl cover. The multi-ring mechanism allows the pages to lay flat when open. Other features are: a handle on the spine, black deluxe lining, and an inside pocket. Includes 10 archival polypropylene acid-free sheet protectors. Prat Paris Archival Refill Pages, 13x19" for the SPB Series Presentation Books, Pack of 10. This archival quality, acid free refill pack features 10 super-clear sheet protectors. Copyright © Wholesalion.com 2019 - The Best Prices On Prat Presentation Binder Online.